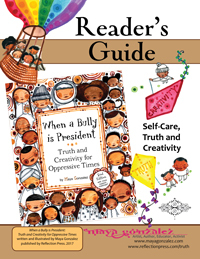 View the Reader's Guide for the book, Community Project, and other resources below with additional materials added as they are created. 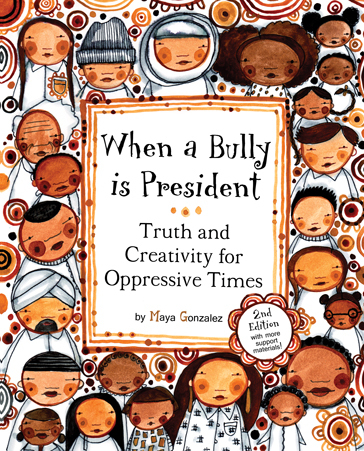 Created by Maya, this guide gives adult readers some background and support to help kids on their journey through the book. 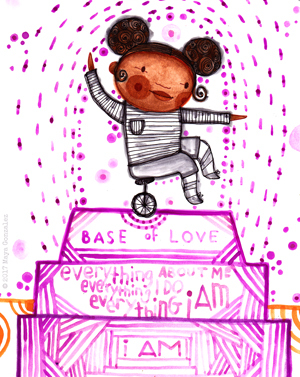 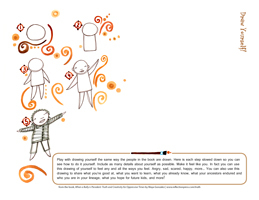 A downloadable handout of the drawing activity from the book for kids to play with drawing themselves and sharing how they feel, what they're good at and more. 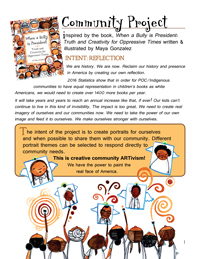 Another one of the activities from the book. 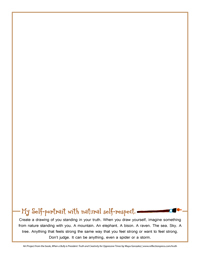 A simple handout with frame and directions at the bottom for kids to draw their self-portraits. 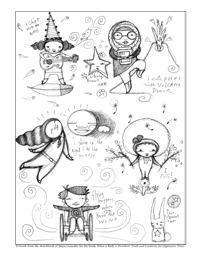 Coloring page from Maya's sketchbook with art from the book. 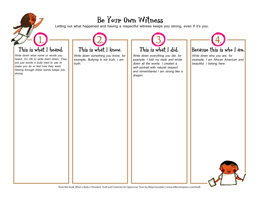 A downloadable handout of the witnessing activity from the book for kids to learn how to witness themselves using the 4 statements. 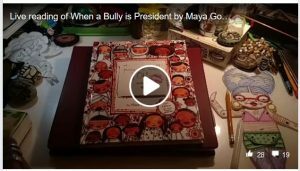 listen to Maya as she reads the book during the State of the Union on Jan 30, 2018.
learn more about how the book came to be, why Maya created it the way she did, and more.